It’s that time of year again, time to sit back, chill out and enjoy the festivities. Time too to give the blog a rest for a few days, not least given that the on-field action gets going once more early in the New Year. But, of course, it’s been restful enough here for several weeks now, in fact ever since the aftershocks of the All-Ireland final had died down. It’s a break I’ve been enormously thankful of, as it’s been the first year for a long time where the closed season has remained closed. We really should do this more often. What a year it’s been too, what an incredible championship campaign we got to experience. No Nirvana – again – but so many great memories, so many truly great days. I really do believe that, in years to come, this one will live long in our minds and for all the right reasons too. We’ll go again – and sure why wouldn’t we? – next year but let’s get the Christmas behind us first. Thanks all for dropping by in such phenomenal numbers over the course of 2017 and best wishes for Christmas and the New Year. Happy Christmas to you and all the posters Willie Joe. We will continue to dream in 2018 ?? Happy Christmas to all, we may not have Sam, but this year personally has been one of the greatest of my life , badly needed too! Rest now for we go again shortly. Happy Christmas to you, WJ, and to all Mayo supporters. Hopefully the coming year will see Sam coming to visit, like a long lost emigrant. Happy Christmas to everyone on here and to all your families. Santa said he’s busy and won’t be delivering the goodies in Mayo until the end of the summer. I wonder what he’s bringing. I’ll have to wait and see. Merry Christmas to all and may 2018 be full of joy and happiness. Thank you WJ and all of the online community keeping this solace of Mayo football going. May everyone enjoy the relaxing time with family and friends. Let’s recharge ahead of 2018 and ready ourselves for another battle with our red and green hero’s. Hon Mayo. Best wishes WJ and to all your family. And the very best to all Mayo supporters for a great 2018. Merry Christmas to all. See you guys in McHale on the 28th of Feb.
Merry Christmas to you Willie Joe. Eat well and be merry … it’s next year we win it!! 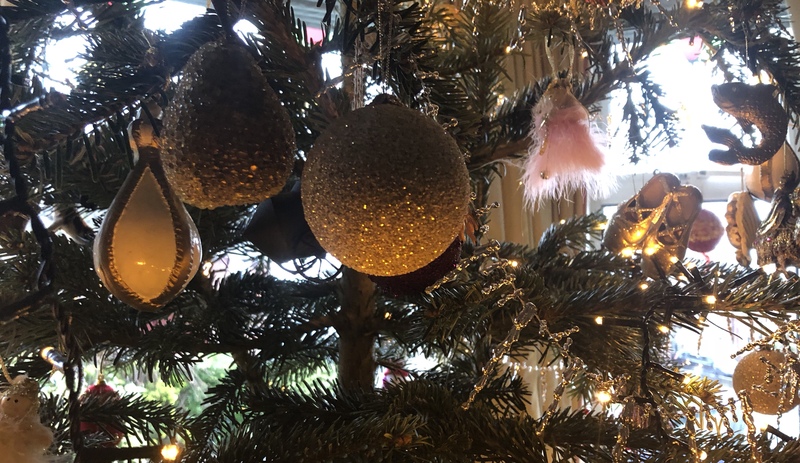 Happy Christmas to you all and you families – enjoy the break. In the overall scheme of things sport might be a small element, but it is surely a great unifying social force, as is evidenced by the contributions of so many on this blog. Stay safe, and see you all in new year. Happy Christmas W J and family..and hope all posters have a lovely festive season too..Cant wait to see what 2018 brings. Once again sincere thanks to WJ for all his efforts across another season, and the many more to come. Well said Willie Joe – I agree with every syllable there. Happy Christmas to you and family. Happy Christmas to you WJ and family and to Mayo supporters everywhere. Merry Christmas Willie Joe and all the die hard supporters that supply great insight on this blog. I’m hoping Santa will be good to us and deliver us that long long overdue prize in 2018. Roll on 2018 lets all give it all again, the best years of of lives supporting Mayo. To all Lahardane folk lets go all the way, John Maughan get this All-Ireland club title on your CV. WJ Merry Christmas to you and yours, thanks for a great site for us Mayo supporters. Your family thanks for all your hard work on here all year. Happy Christmas to everyone who posts on here and reads the comments. A very happy Christmas to WJ and all that post\read here. And best of luck to you all in 2018. Happy Christmas willie joe and thanks so much for your great work during what was an incredible year. Ok so didnt quite close the deal but our great team gave it one helluva shot and I for one am so proud of each and every one of them. Lets go again! Happy Christmas WJ, and all the mayo gaa bloggers. Hers to 2018? A very happy Christmas to you Willie Joe and all your family. Couldnt give a shite about xmas so to hell with the happy wishes from me. Like others have said we need to blood players in fbd and more so the league , league results are not really important with the stage we are at with this panel,take a chance . I think we will need two minimum to come through for starting 15 for championship, loftus seems one most likely in line with this years performances. Cheers for your Trojan work all year WJ, Merry Christmas! To WJ and family, I wish you a happy Christmas. To all us bloggers thanks for the joys of being able to have a view and being able to have our views shared. May I wish everyone Health, Peace of mind, and happiness for 2018. On a sad note this Christmas Day may the Good Lord bring comfort to the families of those missing in Louisburgh. WJ, to you and your family together with all associated with your blog best wishes for Christmas and joy and happiness through 2018. Happy Christmas to WJ and family. Your hard work and dedication all year is commendable. The lads played the football of their lives in 2017 and I hope they have a happy Christmas and a well deserved holiday.. To all the bloggers at home and away I hope you have a peaceful Christmas . Wishing you all a happy Christmas! can’t wait to get back on the red & green road in 2018. No doubt it will be quite an adventure. On the Club transfers who knows what goes on, I left me own club at 23 because of messing around fringe players and living in Dublin. Fellas could be playing golf and and come down at half time and get sprung from the bench. Other lads could play a competitive 90 min soccer game beforehand and still start with mixed results. No doubt similar messing still exists in some clubs nowadays. Now for Intercounty players that could be a different dynamic, they are getting close to perfection on the County team so in any jump to a high performance setup it’s kinda understandable. Anything less than 100% from all panel members especially starters would frustrate. In Balla when.P Fallon left people were disappointed but understood the man worked in Galway. In Donie’s case club has let him move which they don’t have too. It means they need to find a new crop. Feeling the heartbreak of the families in Louisburgh. Sending thanks to you WJ and all the visitors here. Mayo spirit is eternal. Dearg agus glas go deo. Mile buiochas. As for Castlebar they have a job to win Mayo 2018 BUT if they do get through that Donie’s presence significantly increases their chances of an AI (which their current team haven’t won). It’s only 3 or 4 top games after that as Leitrim and Sligo haven’t won the province as far back as I can remember and same for London at QF and Galway champions might draw Ros Champions. Having said all that Balla never really rose back to the heights of when Fallon and Sheridan were there and we made a County Senior final but I wouldn’t blame the lads leaving, it’s nearly 20 years to unearth new talent. Signs good now following U18a success and big recent underage growth but all things are cyclical.